John Delehanty would like another 62 years. 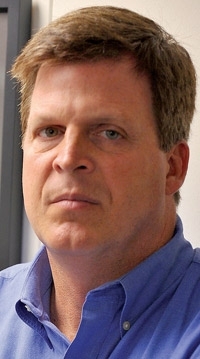 John Delehanty, 58, will close his stand-alone Pontiac dealership in 2010 but wants another General Motors brand. For Rob Brown, 49, "the party's over" for his 83-year-old Pontiac business. At the end of 2010, he'll close it and rely on his Mazda, Hyundai and Honda franchises. The dealers join thousands of dealers, salespeople and technicians wrestling with the demise of Pontiac. The Pontiac family must pack up their memories and move on. On Monday, April 27, GM said it would phase out Pontiac by the end of 2010, part of a restructuring plan to stave off bankruptcy. "I was shocked," says Brown, owner of Brown Pontiac in Toledo, Ohio. GM told dealers this year that Buick, Pontiac and GMC were profitable brands, Brown says. "So I just thought Pontiac never would go away. It just sickens me to see this happen to a company that has this much heritage. It was so badly mishandled." Delehanty, owner of Delehanty Pontiac in Flushing, Mich., near Flint, expected the news. "I didn't get down over it." I just thought Pontiac never would go away. It just sickens me to see this happen to a company that has this much heritage, Pontiac dealer Rob Brown said. GM says Brown's dealership is among the oldest surviving Pontiac dealerships in the United States. He has operated it since 1983, when his father died. Brown's grandfather, Willis E. Brown Sr., was a Toledo area farmer before he opened the Pontiac dealership in 1926. "Then the Depression hit," Brown recalls. "He told me he took a deposit from the dealership to the bank one day and he lost $10,000 the next day — the bank had gone under." World War II followed, and GM wasn't building cars. "But we survived that," Brown says. "I remember him telling me about buying tires on the black market and selling them." His grandfather's stories and the memories through the years make GM's decision to kill Pontiac "very personal. There's been a lot of blood, sweat and tears over the years." Delehanty's father acquired his Pontiac dealership in 1947. Delehanty and his brother, Michael, grew up working in the store and helping it prosper. "When my dad had it, we sold about 300 new cars a year," Delehanty says. "In the early 2000s, we sold about 1,000 new cars a year." Delehanty says he sold 600 new cars last year, and sales this year have slowed even more. He says he is frequently stopped by townspeople who express concern about Pontiac. "When I'm at church, the grocery store, wherever I am — and I tell them, 'You have nothing to worry about, we're going to be here.'" Delehanty says he's not ready to retire. He'll keep his dealership open for service business and hopes to get a Cadillac or Chevrolet franchise. "I'm a great supporter of GM, and we'd like to get another 62 years out of it," he says. 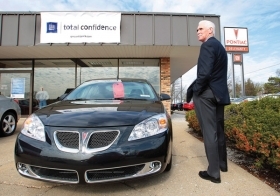 At the end of 2010, Brown will close his grandfather's Pontiac showroom. He'll look for a Chinese or Indian brand to replace Pontiac. But Delehanty refuses to give up on GM. He says: "I look at it as another challenge, and until that last bell rings and they count me down, I'm not out."